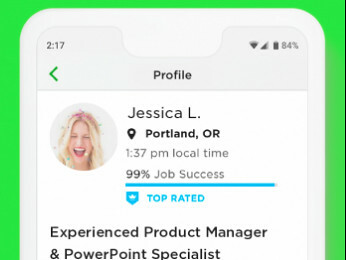 My name is Shane, I’m a VP of Product and focus primarily on Upwork’s mobile experiences. With the holidays quickly approaching, I wanted to remind everyone about the mobile web experience we recently improved. We undertook improvements to our mobile website because we want to help you easily and conveniently complete your tasks and work through Upwork. We know that many of you, clients and freelancers alike, work on the go. You’re not always tethered to your computer or desk. Making improvements to our mobile experience was a major milestone for us. The journey took several months as we upgraded almost all of our desktop pages to be available on your mobile browser. Giving you, our customer, 10x more functionality on mobile than before. Our next task is upgrading our mobile apps, stay tuned because we have changes coming there soon. We hope the ability to work remotely as a freelancer or a client on Upwork makes planning for holidays and vacations a little easier. 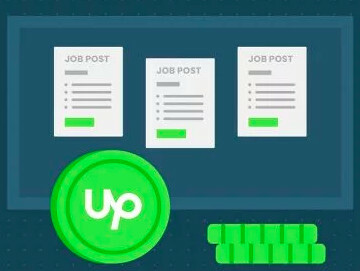 Even more so because you have the flexibility of using Upwork on your mobile devices. I would like to communicate directly with you all on this thread to discuss the new mobile site. If you’ve already used the mobile site, I’d really like to hear your feedback. If you haven’t I’d like to know why. I’ve blocked off time on my calendar so that I can check this thread regularly throughout the day on Wednesday 11/14. This will be kind of like a live feedback session. I look forward to chatting with you! Seems like there are not enough details in the job listings to know if I would like to apply. Why are there so few details listed about each job? I find myself applying just to ask more questions about the project. Also, I cannot see reviews of these posters or any company info for that matter. Would be good to know who they are before applying or getting invloved with them. Hi Christopher - thanks for your reply. This is not exactly my field as its not specific to mobile. However, I understand your concern. Currently, we do require a minimum amount of text in job post fields to prompt clients to add enough information to posts. We've also updated the client job post experience to include more guidance for writing job posts. 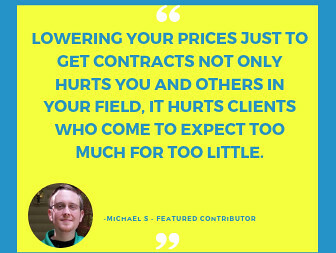 In regards to client info - we do not share client names however we do include info such as total spent, hire rate, average hourly rate paid, etc in order to help inform your choice around which jobs to apply to. We also show feedback provided on each client (if you click on View Job Posting you can see feedback on the Client under Client Work History). Hope this helps. Have you checked out the new mobile web experience yet? We still can't work on mobile if we can't track time on mobile. We need a time tracker for mobile, including for Chrombooks, iPads, etc. The rest of this is just window dressing, really, and it's encouraging clients to be very lazy about what they post in a job. You claim there's a minimum character limit for job descriptions, but that boilerplate "posted from mobile" addition apparently meets it - I just saw a posting where the entire description reads: "Writing. This job was posted from a mobile device, so please pardon any typos or any missing details." Seriously. Solve the problems that actually exist, please. Sorry about the delayed response, Frank. Were you including anything in your profile description that resemble a phone number. Such as a series of numbers? That may be the issue. Please, try submitting your profile with no links in the overview. Note that contact information or links to websites that contain contact information or forms aren't allowed. Later once your profile is approved, you will be able to include links in your proposals.